Is this trench dug by hand or machine? By hand! The trench follows the flower bed lines and seems very uniform; so initially I thought this was dug by a machine. 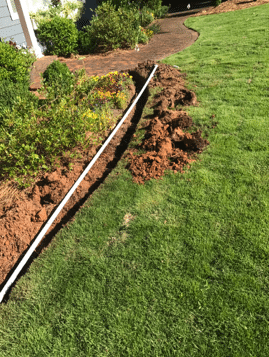 Our installers are very clean and have crisp lines even when hand digging. 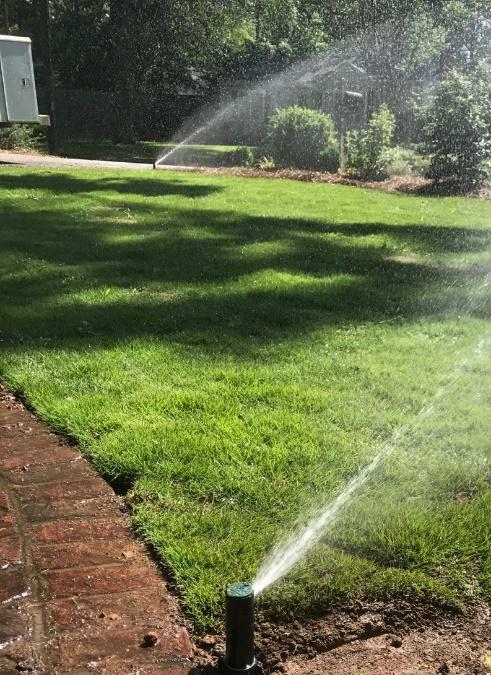 This irrigation system in Marietta was installed in one day and provides coverage for newly installed sod. 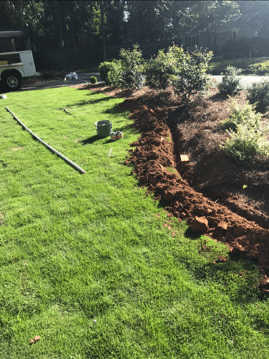 Since the sod was already laid, it was decided to follow the flower bed lines to minimally disturb the sod. Head to head coverage was achieved and the homeowner was happy with the result.